Where do you want to be in five years? Team vs Time wants to help get you there. Yes, you can actually have fun making a living! Become a proud owner of your own Team vs Time location, and transport yourself and your customers from the everyday to the extraordinary! Intrigue, engage, inspire and entertain our customers. Provide a transformative experience that creates a lasting memory. Improve communication and collaboration within and amongst teams. Make businesses and organizations more productive. Work obsessively and relentlessly to inspire, entertain and delight our customers. Think Big. 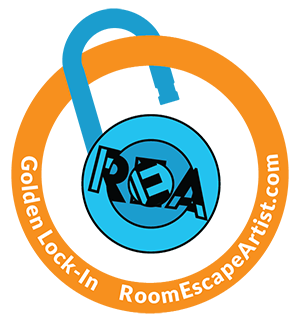 Become the American “room escape” venue, and have fun doing it! Do things in the best interest of the company, take massive action, go the extra mile, and deliver results. Pursue growth and learning. Improve every day. Be exceptional! Be adventurous, creative, and open-minded. Inspire, embrace and drive change. Learn from our mistakes and view everything as a perpetual work in progress. Be acutely selective in our hiring and choice of vendors and partners. Train and mentor staff so they can go anywhere, but treat them well enough that they want to stay. Give staff the autonomy to be awesome. Speak the truth and maintain integrity in all our business dealings. What sets Team vs. Time apart? Our business model is comprised of a great concept, clear mission statement, and our guiding core values. What does it take to open a Team vs Time location? To start, you need to be a highly-qualified individual to become a franchisee. Prior business experience, coupled with personal financial qualifications, individual motivation and a track record of success are important factors in our evaluation process. How much money do I need to open a Team vs Time franchise? Individuals will need a minimum of $30,000 in non-borrowed personal liquid assets (e.g. cash, marketable securities, stocks, etc.). The total cost of each location will vary by size and location. Each location is different, depending on a variety of factors. However, it typically takes approximately 3-6 months from signing the franchise agreement to opening day at your Team vs Time location.